If you want to not only preserve the life of your hydraulic system, but also keep its components working with the precision necessary to deliver optimum performance, you need to buy the highest-quality hydraulic filters you can find. Parker hydraulic filters in Chino Hills CA make an excellent choice. Visit any of our authorized ParkerStores and we’ll be happy to explain all the features and benefits of Parker filters to you. Buying the best doesn’t have to cost you an arm and a leg. Parker’s low pressure filters are especially well-known for offering an economical price without compromising on performance. At Bernell Hydraulics, we carry these high-performing Parker hydraulic filters in Chino Hills CA. No matter what pressures or temperatures your mobile or industrial equipment operates at, we can help you find a Parker filter that will do the job. Buying Parker hydraulic filters in Chino Hills CA is a great first step to keeping your hydraulic components safe from contamination. But you also need to invest in regular service and maintenance, including fluid analysis, power flushes, and periodic filter replacement. 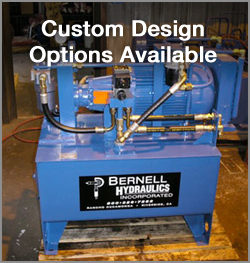 Whenever you need any of these services, you can trust the pros at Bernell Hydraulics to get the job done right. As an authorized ParkerStore, we have access to authentic Parker products, including Parker’s ultra premium DuraClean hydraulic oil. Plus, we have over 30 years of experience in hydraulics parts and service, so you know that we know what we’re doing when we service your equipment.